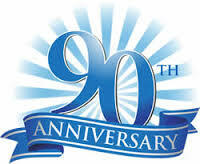 The Sunrise Baptist Church proudly celebrates its 90th Church Anniversary on Sunday, November 19, 2017 at 2:30 p.m. Our special guests are Rev. Louis Taylor and the Temple of Vision Baptist Church Family. Everyone is invited to come out and celebrate this special occasion with us.